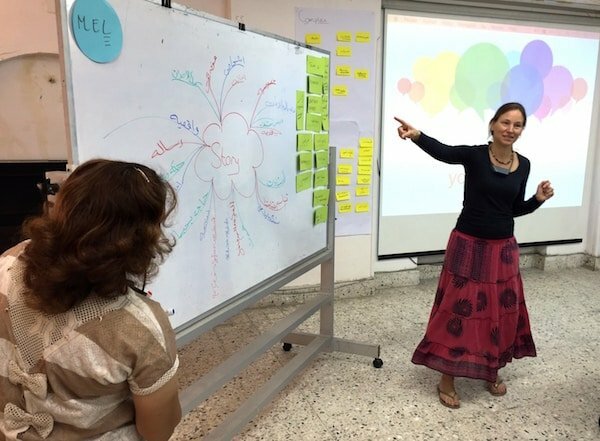 How can stories enable an NGO to monitor and show the impact of its work? That was the focus of the capacity training conducted at Caritas Egypt this June. Approximately 20 employees from all over Egypt attended the workshop provided by Lisette Gast and Petra de Boer. Storytelling is a powerful tool for monitoring, evaluation and learning (MEL) and for brand communications. Stories from beneficiaries and other stakeholders can be used to assess the outcomes of an intervention, to identify the contribution by the change agent and to judge the significance of the action. The most appealing stories can feed directly into the communications effort, for example by publishing them on the website or in other news media. A mix of employees working on monitoring, communications and fundraising attended the workshop. They were very excited about the potential of linking MEL to communications and fundraising and thus making Caritas work more visible in the world. The training is part of the Organisational Reform programme at Caritas Egypt facilitated by Perspectivity.